Please choose your CMP3 platform in the purple box below. Did you start using CMP3 before or after 2017? NEW content live on Teacher Place! 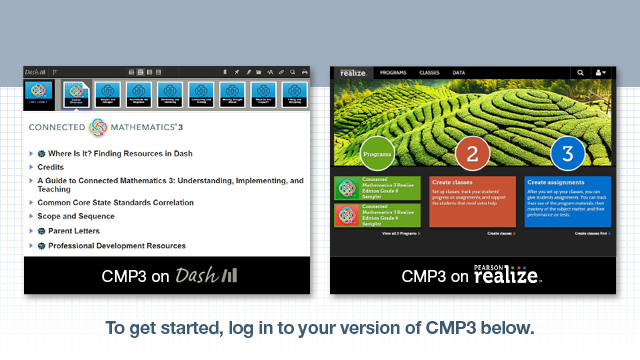 Check out the CMP3 unit samples, research, and other information about the Connected Mathematics curriculum. View online video tutorials to guide you through your CMP3 teaching experience. Author-hosted site with CMP research, conference updates, parent information, and more. Check out the student portal for CMP3.